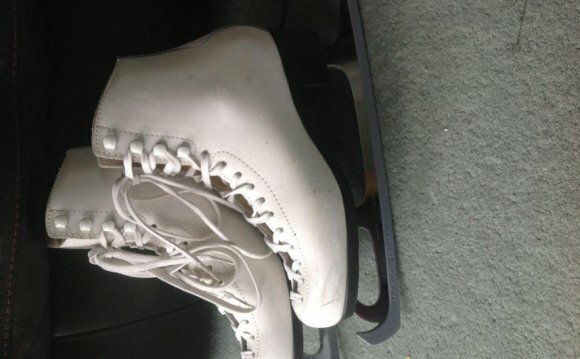 There are many ways to improve your skating and a mix of private lessons and group tuition is a good way to start. Private 1-2-1 are available at Queens from NISA qualified professional coaches. All the coaches are independent of Queens, therefore you will need to deal direct with the professional to book a lesson(s). Should you have difficulty in contacting a professional or have any issues with the service provided, you should call our office on 020 7229 0172 and ask for the duty manager. Costs vary but you should expect to pay £10.00 upwards for a 15 minute lesson in addition to the session entry fee. Faye Morgan – has skated from an early age and competed both nationally and internationally. She has also performed in ice shows and has choreographed many show events. Faye is a NISA registered coach and has taught figure skating for over five years and teaches all ages and abilities. She is available for 1-2-1, group lessons or parties and can be contacted on - was a junior British Ice Dance Champion and a Finnish Champion. He has competed internationally as well as in the European and the World Championships. A NISA registered instructor, he has more than 10 years teaching experience both in the UK and abroad and enjoys teaching all age ranges and standards, either 1-2-1 or in groups. Jamie can be contacted on - has coached at Queens for a considerable number of years and specialises in figure skating and synchonised skating. She is a gold medalist in both disciplines and coaches children and adults of all abilities. As registered NISA coach she has trained novice, junior and senior champions. She has also choreographed ice shows and galas. For further information about booking a lesson with her call - was a one time national junior figure champion and represented Great Britain in free skating and ice dance at senior level. 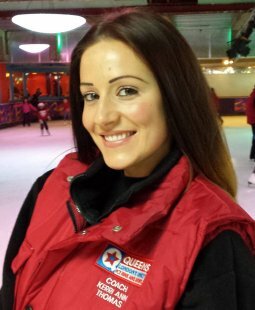 She has been teaching figure and ice dance at Queens for a considerable number of years to pupils of all ages and abilities. She can be contacted through the Queens reception desk on - began skating at an early age and has over ten years open competition experience. She won a gold medal at the 2000 British Senior Solo Ice Dance Champion. She is a NISA registered coach specialising in free skating and choreography. She is also teaches off ice dance in tap and street dance. Her vibrant enthusiastic approach to teaching makes lessons both fun and exciting. Stefanie caters for all ages and abilities and can be contacted on – has had over ten years experience as a show skater travelling globally with Holiday on Ice. She is a NISA registered coach and coaches skaters of all ages and abilities either 1-2-1, groups or parties. Sarah can be contacted either on – comes from a skating family and could skate before she could walk. She was a one time team leader and a member of the GB Synchro squad and represented GB internationally. She has choreographed show events and has performed in numerous ice shows. NISA registered, Lucy enjoys the freedom the sport offers and is happy teaching either 1-2-1 or groups of all ages and abilities. Lucy can be contacted on 9.